An on-road T-Series terminal truck. All Orange EV trucks are purpose built to site requirements. 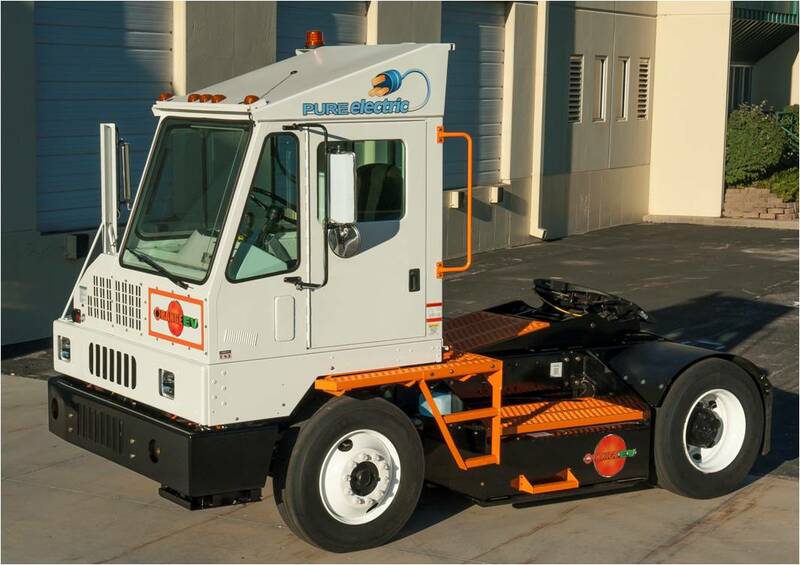 Built with patent-pending technology, Orange EV T-Series pure electric terminal trucks are proven to save money while being safer, more reliable, and preferred by drivers and management alike. Off-Road / Off-Highway: For non-plated, in yard use. All Orange EV trucks have torque on demand, smooth acceleration & deceleration, can be used indoors (no emissions), and are driver-friendly with low noise and vibration. Battery: Sized to meet the needs of your site. Charging: In as little as two hours; spec'd as a total charging solution that takes full advantage of "opportunity charging" when trucks are plugged in and charging during lunch, breaks, shift changes, and other downtime. We’ll also discuss the need for fleet and site-specific equipment. For example, though Orange EV cabs are significantly cooler in the absence of a diesel engine radiating excess heat, a built in A/C system may still be desirable for hot or humid climates as well as those which require the cab to be sealed (e.g. waste transfer sites). Orange EV’s complete solution includes everything you need to begin operations: electric trucks, charging capabilities, telematics, training, manuals, customized operator settings, warranty, technical support and more.